Because we carry a full range of Salmson circulating pumps including spare cartridges we can easily fix your solar hot water system. Once we have had a look at your system we will either replace this pump or introduce you to a few others options that are now available. We carry a full range of solar hot water replacement parts and accessories in our vehicles. 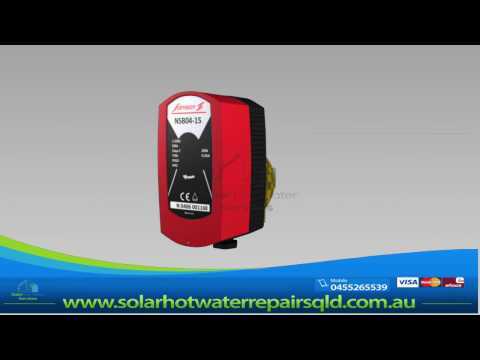 This allows us to show you the full range of options to repair your solar hot water system in the first visit. The Salmson NSB is no longer made but we do have many replacement options to be able to repair your solar hot water system..